Wovenwar is a Christian metal band formed in 2014 by all but one of the members of As I Lay Dying—a Christian metalcore band originally formed by lead guitarist William Faulkner in 1930. After a run of successful albums like One Liturgy Less, Coffin Full of Grace, and Mouth Mumbled in Praise, As I Lay Dying were situated near the top of the Christian metal heap. However, in May 2013, vocalist and dedicated bodybuilder Tim Lambesis embarked on a one-off side project, provisionally titled As I Want My Wife to Lay Dying. The project never saw the light of day, and after a feeble attempt to blame steroid use for his actions, Lambesis pled guilty to solicitation of murder and subsequently made a formal renunciation of God. Lambesis also claimed that in their later years, As I Lay Dying were pretending to be Christian in order to stay popular and sell records. Lambesis went to prison for a six-year sentence, and the band, stung by his claims, recruited a new singer and became Wovenwar. With such a juicy, scandalous backstory, one would hope that Wovenwar would be monolithic somehow. After all, Lambesis’ story says something interesting about the essential tension between Christian metal and Christian living in general. Atheist, agnostic and Satanic metal fans probably almost drowned in Schadenfreude when they heard the news, and it’s not hard to see Christian fans hoping for redemption in Wovenwar’s debut. Unfortunately for everyone involved, Wovenwar is a radio-slick, bland record, with more in common with Van Halen’s III than Mayhem’s De Mysteriis Dom Sathanas. 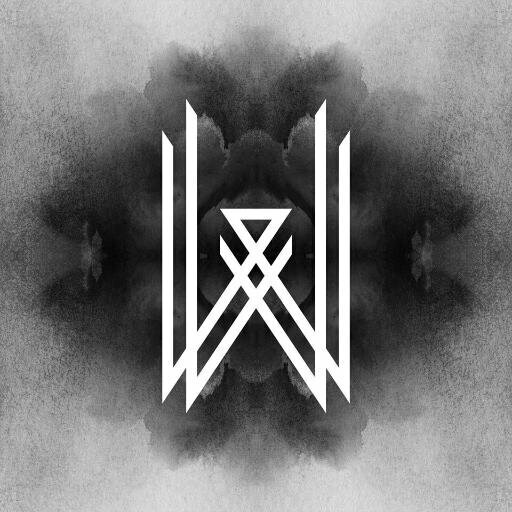 Wovenwar makes a huge break from As I Lay Dying’s often harsh-vocaled, confrontational metalcore sound into much more accessible territory. Wovenwar’s songs are big and anthemic, striving for cathartic sympathy and grace. Unfortunately, this obliterates the essential fun thing about As I Lay Dying, which was the sheer guilty pleasure of it all. “It doesn’t count as noisy abomination, because it has positive spiritual messages. Look, here are the lyrics,” says the precocious teenaged fan to the aghast parent. Wovenwar, on the other hand, is so slick and toothless that one would have to explain why it’s not heavy enough. “I thought you kids were into scary stuff these days, but this is no heavier than Sabbath,” says the smug dad, feeling cooler than he has in years. New singer Shane Blay is an easy scapegoat for the softening. His tones are suffused with uplift. There’s a tinge of hard rock in Blay’s voice, reminiscent of 3 Doors Down and their post-grunge ilk. Wovenwar sprinkle a few harsh vocals on songs like “Profane” and “Archers,” but they are fleeting, and lend few if any thrills to Wovenwar. But we shouldn’t blame Blay, and “Prophets” illustrates why. Here, over strummed acoustic guitars, Blay puts together vocal progressions and harmonies that are simply lovely. When the signature metal sound charges in, it does so like a wave knocking over an elegant sand castle. Wovenwar knew exactly what they were doing when they chose Shane Blay and set their new musical course. Given the sound of Wovenwar, it looks suspiciously like a PR move—a safe, shrewd repudiation of Lambesis, as well as a reinforcing of Christian bona fides, and perhaps even bottom lines.